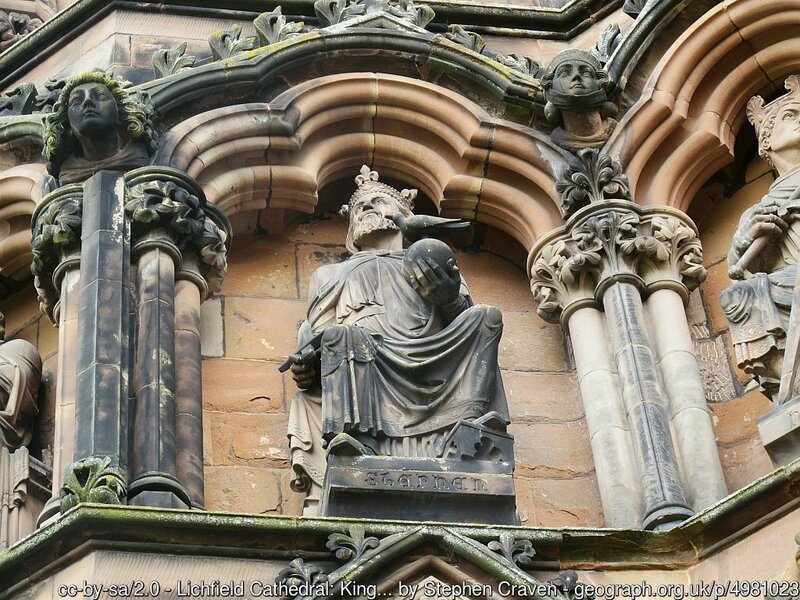 In 669 the missionary, Chad, established Lichfield as the centre of Christianity in Mercia, the greatest kingdom in the land. King Offa, king of Mercia, had the bishop raised to an archbishop. Although, the high status was lost when Offa died. Chad founded the Cathedral in the same year when he became the first Bishop.The Grade I Listed Cathedral (built 1195-1325) is the only English cathedral with a group of three spires. They are known as the Ladies of the Vale. The existing building dates from the C13th, but it suffered extensive damage in the Civil War. The cathedral houses the C8th manuscript, The Lichfield Gospel. The statue in the picture above is King Stephen. 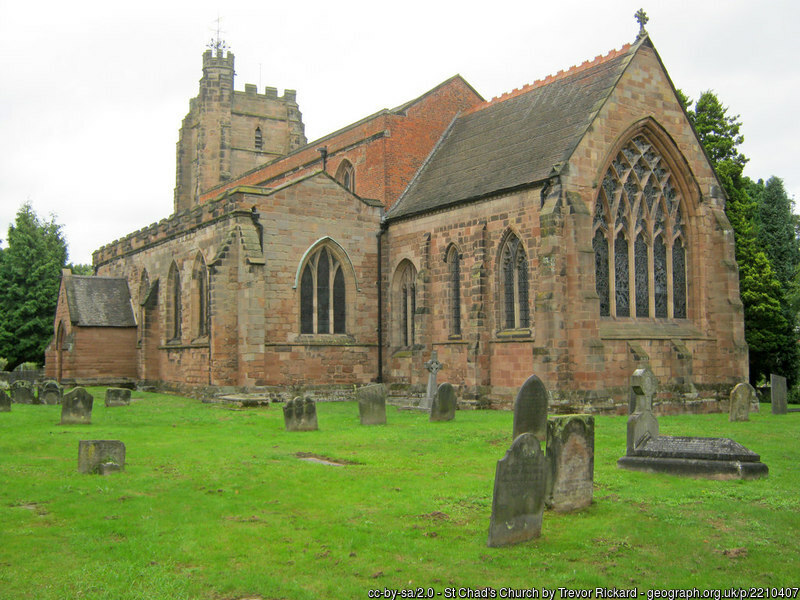 St Chads Church (above) stands on the site of St Chad’s C7th monastery, although nothing remains of the Saxon building. Chad built the monasterium by a well which became a place of pilgrimage. The present Grade II* Listed building dates from C12th onward and the tower is C14th. Parliamentarian troops occupied it during the Civil War and used it to store their munitions. Dr Samuel Johnson (1709-84) grew up in Litchfield where his father was a bookseller. His former house, built for his parents in 1708, is a Grade I Listed building, and now a museum. Johnson went to Dame Oliver’s School and the Grammer School, he later ran an academy where David Garrick was his pupil. At age 28, Johnson and Garrick went to London together. And, after 8 years work Johnson published the Dictionary of the English Language. He defined lexicographer as a harmless drudge. Actor and theatre producer David Garrick (1717-1779) grew up in Lichfield where he attended Samuel Johnson’s academy. 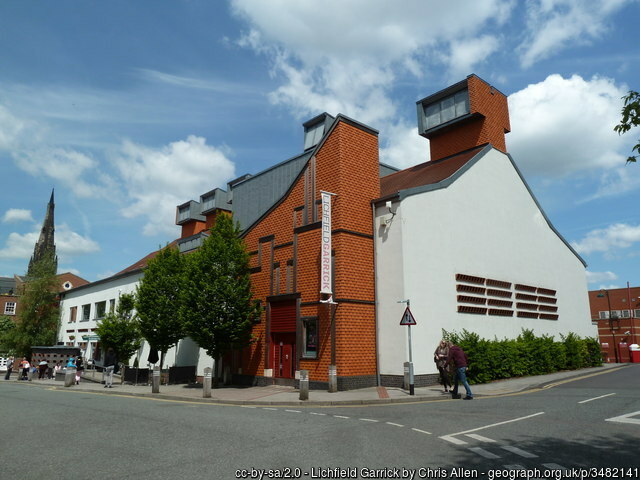 Lichfield Garrick Theatre opened in 2005. It is a modern theatre which provides opportunities for people to access all aspects of theatre making. Garrick’s home no longer exists, but a grey plaque marks the place at the Probate Court on Bird Street. 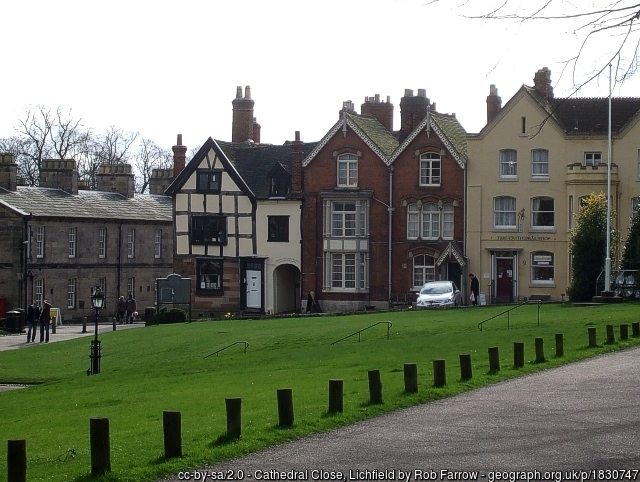 Erasmus Darwin (1731-1802) also lived in Lichfield. His famous grandson, Charles Darwin, eclipses his fame, but Erasmus was a scholar, inventor and scientist. His house, which he modernised from a timber-framed building, stands on the Cathedral Close and is also a museum. Next PostSurrounded by beautiful North Dorset countryside, Sturminster Newton lies in the heart of Blackmore Vale.